• Prevent fraudulent claims made by other parties if you're involved in an accident, thus protecting your vehicle insurance policy. • Protect yourself in the event of an altercation between you and another driver, or between other members of the public. • Help ensure your teen driver is using the car safely. • Monitor and protect employees who drive company vehicles. • Some units combine other functions such as GPS, panic button, and driver alerts. Get the peace of mind that comes with all of these benefits, and in knowing that if you're involved in an accident or another kind of altercation, you've got an irrefutable record of the event. Car cameras are cameras that are fixed at one or more strategic points around your vehicle, such as on the dashboard, to record what's in front of you or elsewhere around you. The camera records automatically whenever the car is running, and the recorded footage is stored. Roadcamera UK provides and installs mobile digital video recorders (MDVR) units that record onto internal hard drives or SD cards. We can install cameras designed for the front, rear, and sides of a vehicle, potentially giving you a car CCTV system that provides a near-360 degree view of what's going on around you. When we install a new unit it's wired directly into a vehicle's fuse box. This allows the car camera to start recording automatically when the vehicle starts, and stop recording and shut down when the vehicle stops. This helps prevent battery drain and ensures that no recording time is wasted. Vehicle CCTV systems are designed to operate in harsh environments. They're weather sealed to withstand heavy rain and even high pressure water hoses. 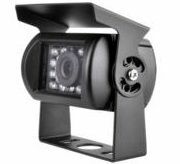 Car cameras are ideal for a wide range of vehicles and situations, including family vehicles, heavy goods and fleet vehicles, emergency vehicles, buses and taxis, and farm and construction machinery. Interested in learning more about car CCTV systems, or a free survey and quote? Give us a call today on 01482-869849, 01904-862023, 01472-801214 to talk to a Roadcamera UK expert and find out how you can benefit from using vehicle CCTV.